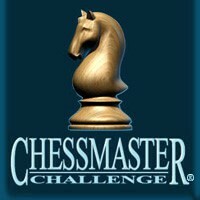 Based on the award-winning Chessmaster series, with over 5 million copies sold, Chessmaster Challenge is your teacher, mentor, and ultimate opponent. Whether you are learning chess, improving your strategy, or competing against world-class chess players like Josh Waitzkin, this game will make you a better player while offering hours of mind-twisting fun. Get ready to battle the Chessmaster himself!